In 1995, the GFWC Hollidaysburg Area Women's Club saw a need for a facility where children and families could enjoy the outdoors, picnic, play, and socialize. At the time there was no public playground in Hollidaysburg, Pennsylvania. The project began in September 1995 and was completed in May 1996. Clubwoman, Lore Kimble, who organized and led the project, and other club members worked closely with officials from the Borough of Hollidaysburg and the American Legion Post, Hollidaysburg, procuring a parcel of land for the project. A steering committee led by GFWC HAWC, and made up of parents, educators, and area business leaders, laid out the plans for a handicapped accessible, community-built playground to be constructed on the grounds of Legion Memorial Park, Hollidaysburg. Volunteers raised over $100,000 in cash and material donations. The goal of the Kid's Kingdom Play Park project was, and still is, to provide a safe, fun, and educational outdoor environment for children and their families to play together. The design encourages physical and imaginative play as well as an appreciation for the local environment. 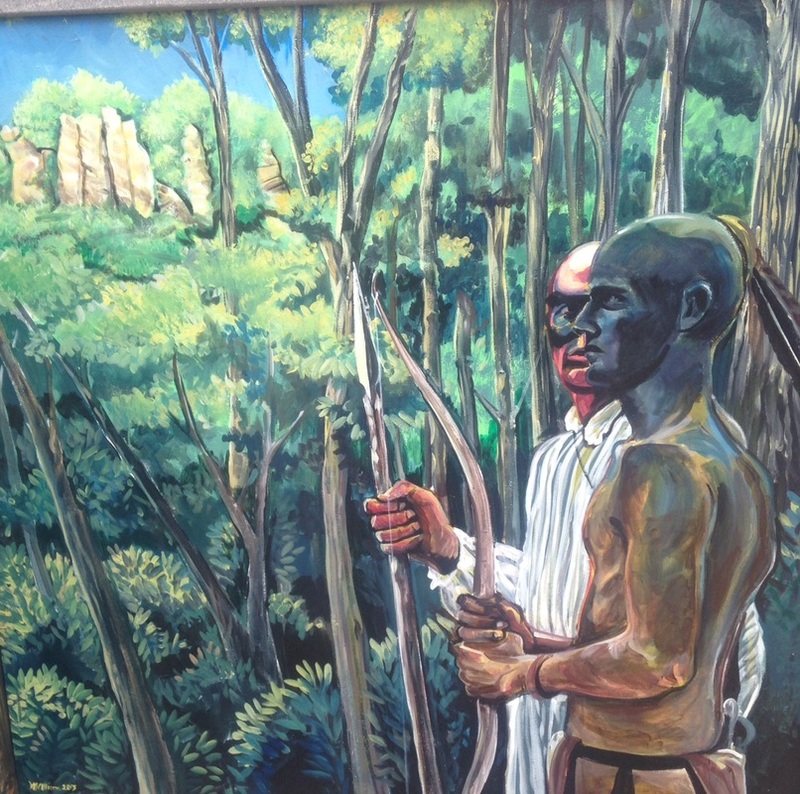 The original artwork of the murals at the entrance of the park depicts local history. Our club has a vested interest in our community as we have been at the forefront of many projects that have had a positive impact on our community. One of those projects is the Kid's Kingdom Play Park. As we progressed through the process of project selection, fundraising, renovating, and reporting, we were reminded of the beauty and value of our parks, not only to us, but to the members of our community as well, motivating us to plan for the future. Our club members remain dedicated to living the volunteer spirit and taking on a leadership role in the preservation of our community parks as we continue to move forward with both phases of the Renovation Project. The renovation of Kid's Kingdom Play Park, a 12,000 square foot park with 60 play stations and fun fitness areas originally constructed under the leadership of the GFWC Hollidaysburg Area Women's Club with the assistance of many community volunteers. In addition, eight murals displayed at the entrance of the Kids' Kingdom Play Park have been completely restored. Phase I of the Renovation Project has been completed. The renovation of the large canal boat playground structure located at the center of Canal Basin Park. The canal boat playground structure was sponsored by the GFWC Hollidaysburg Area Women's Club in 2001. It is a historical, educational, and fun place for children to play. Phase II of the Renovation Project was completed as of September 2015. Because both parks are constructed of the same material and require immediate attention, the decision was made to combine both restoration projects. The decision resulted in an overall cost savings. One of the most unique features of the Kid's Kingdom Play Park is located at the entrance -- an original public art exhibit, 8 murals painted by 7 local artists. Over time, the weather and the elements had taken their toll on the art pieces as well as the structure itself. Through our Renovation Project, and with the help of the original artists, and employees of the Borough of Hollidaysburg, the murals were refurbished or completely restored. The artwork enhances the entire playground experience. The exhibit gives everyone who visits the opportunity to view and experience original, creative artwork. The artists include: Allen Capriotti, Michael Allison, Stan Crilly, Deb Bunnell, Helen Gorsuch, Joe Servello, and Steve Gilbert. Two new panels were created by Michael Allison. Most of the scenes include children as their main subject. 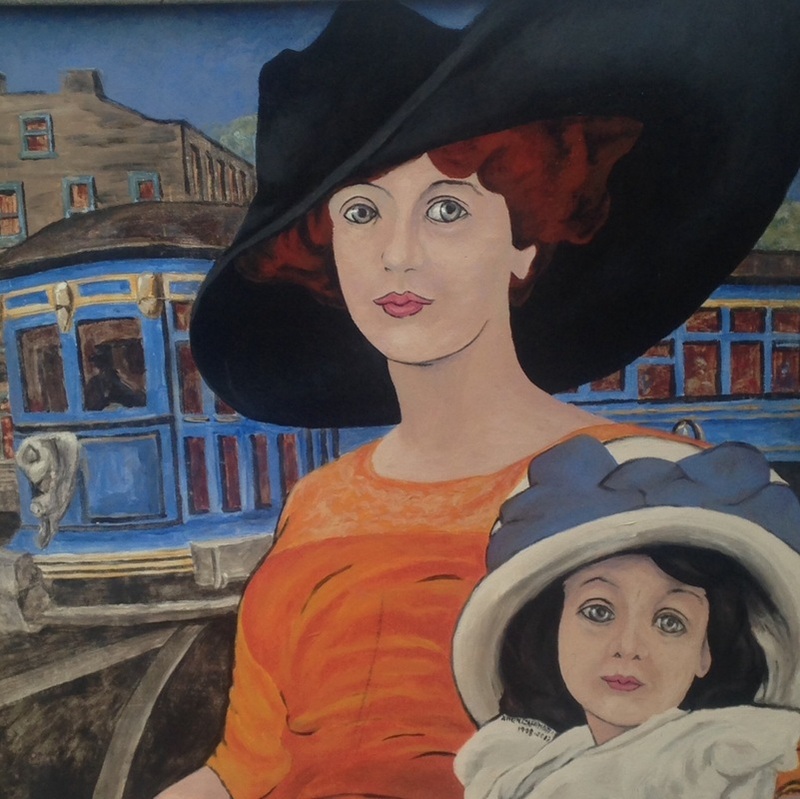 Blair County History and Historic Landmarks are depicted on the Murals such as Native Americans at Chimney Rocks, the Canal Basin, a pioneer family, and children at the turn of the 20th Century. The Murals are erected at a child's height. The latest renovation is a hardscape installed at the entrance to the park this past May. Community use of Play Park has increased over the years and has taken its toll on the surrounding area as well. In April 2016, volunteers returned to maintain the Discovery Garden located directly beside Play Park. One of our clubwomen, who leads the volunteer effort for Discovery Garden, identified the need for the addition of a hardscape to the entry of Play Park. The area was overgrown with shrubbery and muddy conditions were increasing. Upon inspection by our CIP committee, the hardscape project was approved. Clubwomen representing both the Discovery Garden and the Play Park have been working closely together to insure both areas bring continued pleasure to our community.